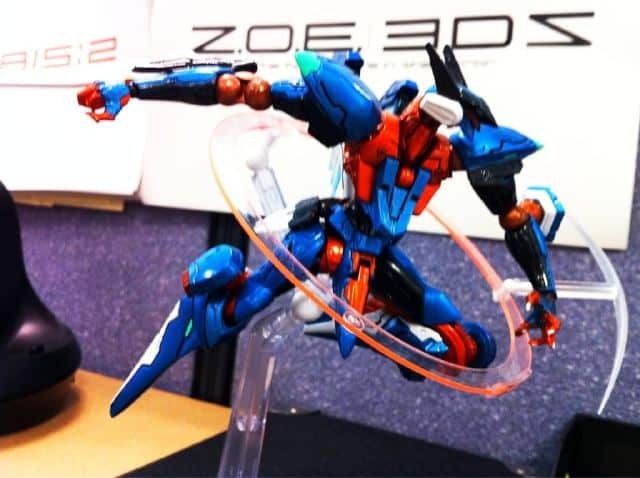 Acclaimed video games director Hideo Kojima has today teased that he may be working on a Nintendo 3DS instalment in the ‘Zone of the Enders’ series. “Found this at Omori-kun’s desk. What’s this?” Kojima teased on social media site Twitter, alongside the photo that you can see below. Takahiro Omori, who Kojima refers to, is an artist and employee of Kojima Productions, and has worked extensively on both the Metal Gear Solid and Zone of the Enders series. The series has previously debuted on PlayStation 2 back in 2001, with a sequel following in 2003. Whilst popular amongst fans and critics, it never had quite the same commercial success.